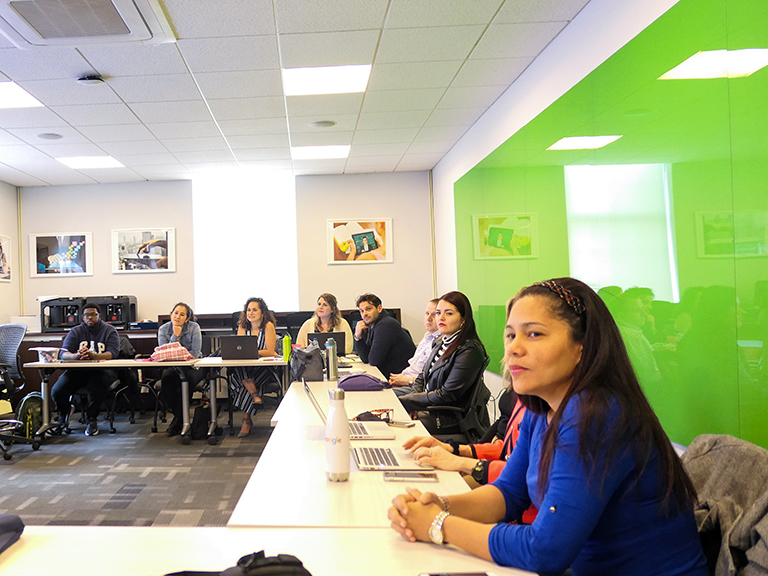 New York City, home of the United Nations headquarters, is a hub for global diplomacy, and this summer two of Manhattan’s international studies majors are discovering what it takes to forge a career in international affairs. 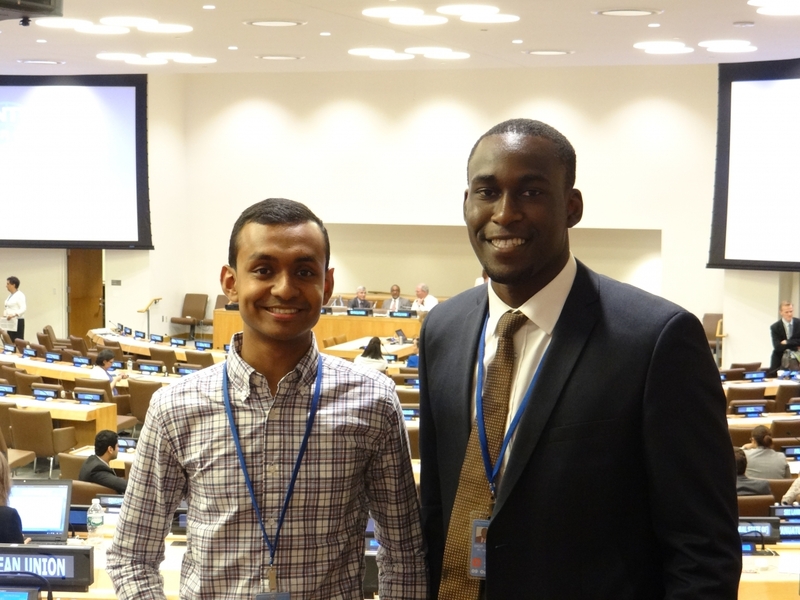 International student Mahamoud Diop ’17 is interning with the African Union Mission to the United Nations, and Syed Shabab ’16 is interning for the Organizations of Islamic Cooperation (OIC), the second largest inter-governmental organization after the United Nations. Several days a week they report to the United Nations building on the east side of midtown Manhattan to attend meetings. Anyone who has watched similar proceedings on C-Span might envision these meetings as tedious, but Shabab says the experience is totally different with a real front row seat. 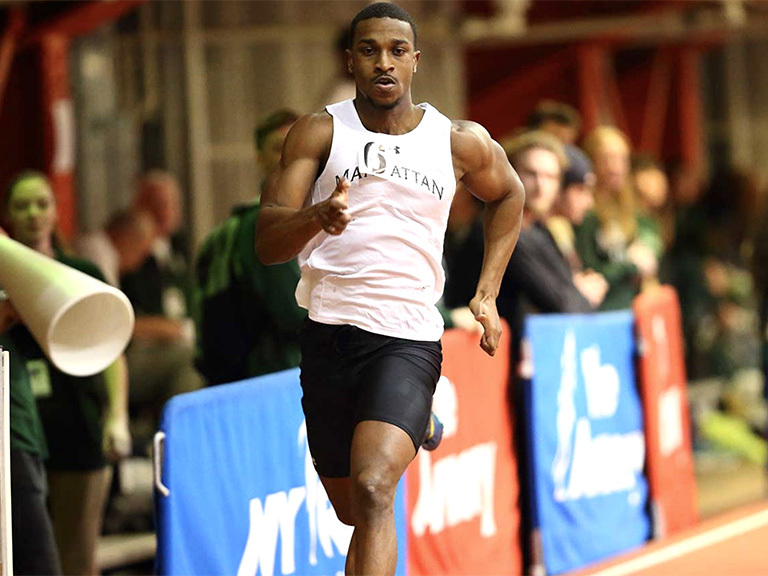 “When you’re sitting on a seat that is reserved for you, listening to these issues of the world and making huge decisions, you get really into it and want to help,” Shabab says. After attending the meetings, they prepare informational reports using the five W’s — the what, who, why, when and where? It may seem pretty basic, but with meetings lasting anywhere from one to several hours that include multiple speakers and issues, the reports become very complex. Accuracy is key, as many reports go directly to ambassadors. Many of Shabab’s meetings involve the Palestinian-Israeli conflict. His experiences are enhancing what he’s learned in the classroom as well as informing his decision-making post-graduation. As a dual major in international studies and economics, the possible career paths are endless, from conflict resolution and law to finance. He is planning to intern with a top financial institution in the fall to find out which work environment he prefers. 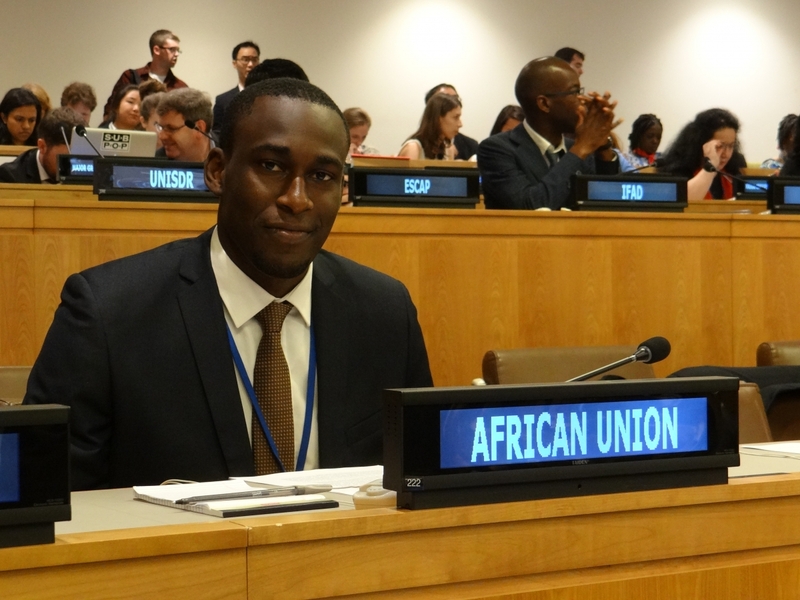 Diop, who hails from Bamako, Mali, West Africa, has been busy covering the post-2015 proceedings as the UN works with member states to define a sustainable development agenda for the September 2015 summit. The goal of the summit is to adopt a set of Sustainable Development Goals and set the international community’s sustainable development priorities for the next 15 years. These goals and targets address the eradication of extreme poverty in its many dimensions while promoting gender equality, education and environmental sustainability. Diop secured the position early, at the end of his sophomore year. Having participated in two Model United Nations conferences with Pamela Chasek, Ph.D., professor of government, Diop was well prepared. In fact, he was surprised by how similar the simulation was to real life proceedings. It’s a dream come true. “Students do not have to wait until junior or senior year to get started with the process,” Diop adds. In the future, Diop plans to return to Mali and work in international development in some capacity. While Diop and Shabab sought out these internship positions independently, Chasek has provided preparation and guidance along the way. An expert on international environmental policy, multilateral diplomacy and negotiations, and U.S. foreign policy, she also serves as editor of Earth Negotiations Bulletin and is a regular at the UN. Shabab, a first generation college student, says this guidance is just as important as lessons learned in the classroom.